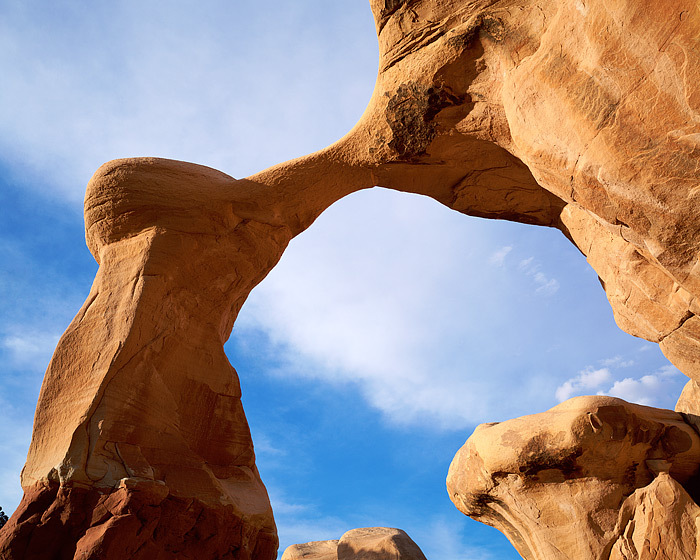 Located in the Devils garden of Grand Staircase Escalante National Monument, Metate arch is just one of the many unique sandstone formations in the Monument. Devils Garden is located along Hole in the Rock Road a hadful of miles for the town of Escalante, Utah. Photo © copyright by Thomas Mangan.